There is a lot to like in the state of Washington! We enjoyed a very scenic and quiet ride around the north end of the Olympic Peninsula. 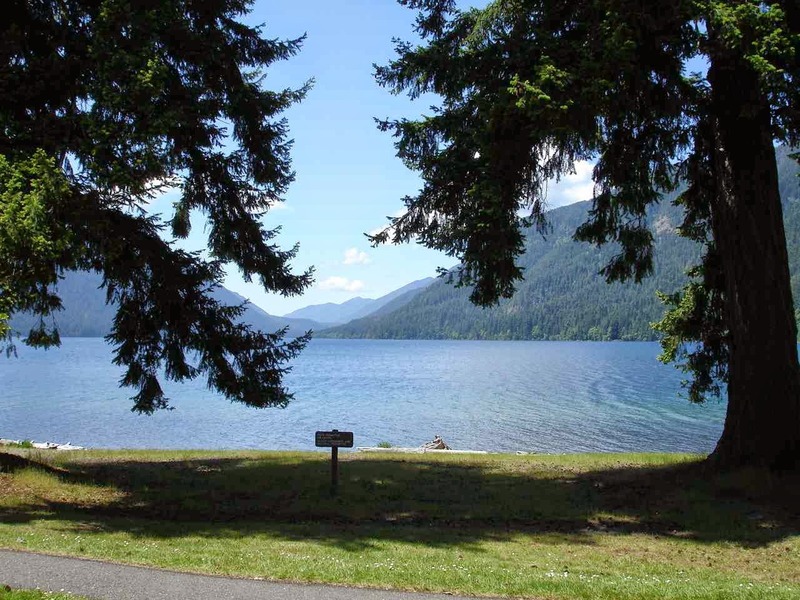 Following Route 101 took us right along the shore of Lake Crescent. This view is from Lake Crescent Lodge. The lake is popular with divers. One of those lakes you can see through the clear water. It reaches a depth in some spots of 600 feet. In Port Angeles , right along the Strait of Juan de Fuca, we head up into the Olympic National Park at Hurricane Ridge. Lady Blue is liking the view of the Olympic Mountains. 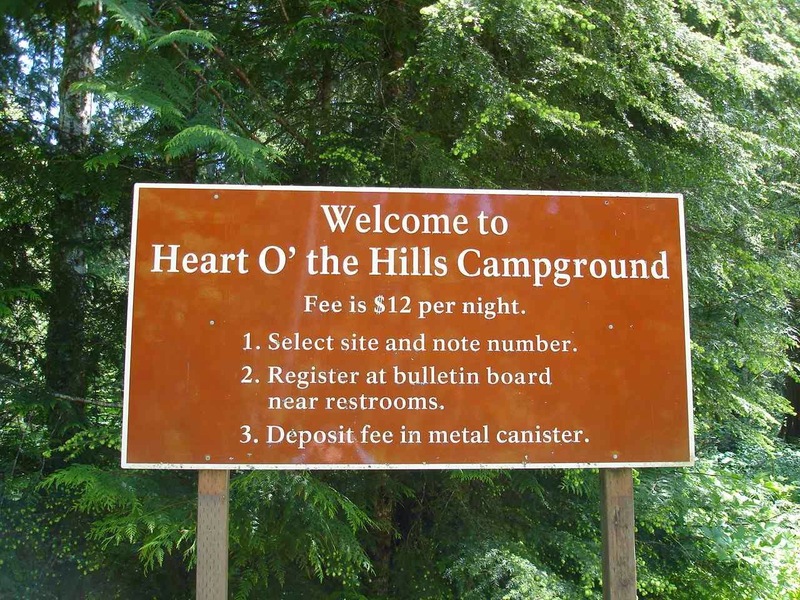 After a very pleasant stop at the Visitors Center, Jan and I head for Heart O' The Hills Campground. Note that the fee is $12 per night. And , once again , our America the Beautiful pass makes that $6 per night. Also allows free admission into the park. As expected, it is a dry camping site. This time, we had to look a bit for a level site--and we found one. A perfect spot for a campfire! With our limited storage, we rely on sales of firewood at the campgrounds where we are staying. 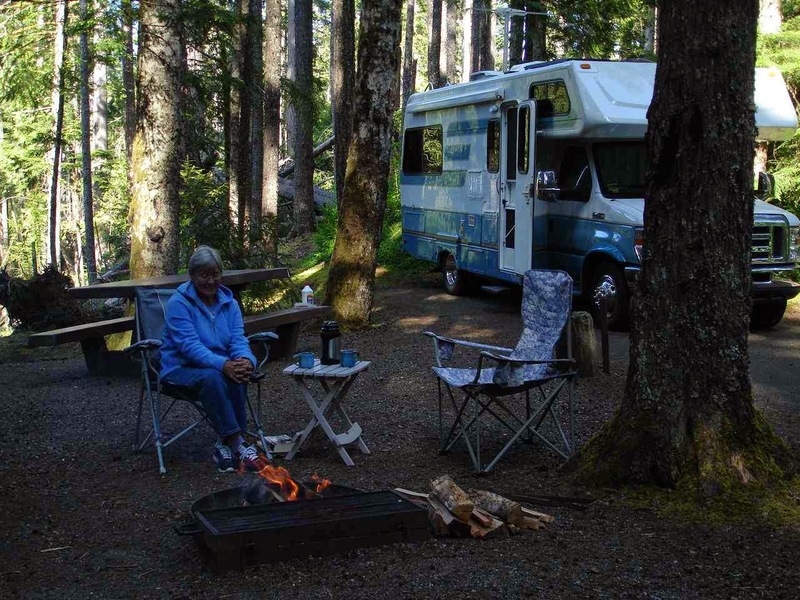 A quick stop at Evergreen Coho, one of our Escapee campgrounds, a little laundry( actually a lot),and a mail pickup; and then off to a great little town at the junction of the Strait of Juan de Fuca and Puget Sound . 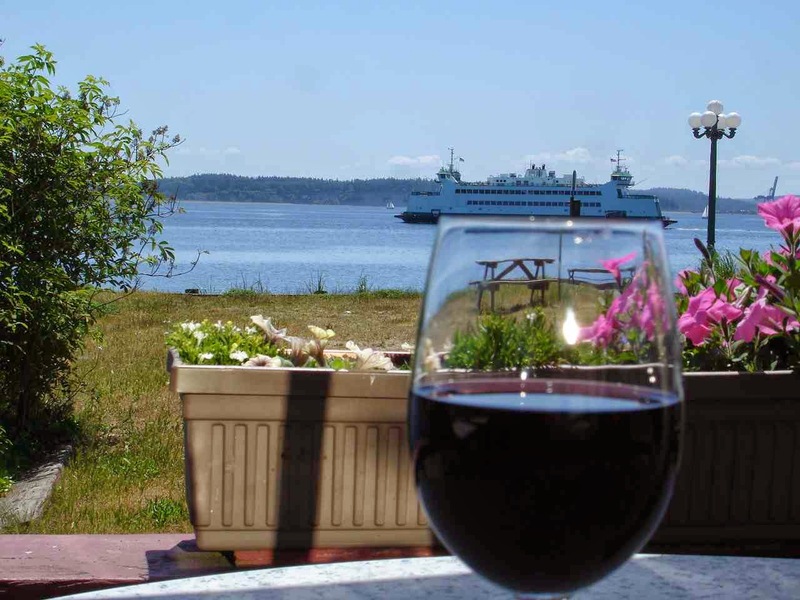 Port Townsend is a small , but active tourist town. It is an arts center and also an active traffic town for the ferries to Canada and points north and east(avoiding the long ride south around Tacoma and Seattle. 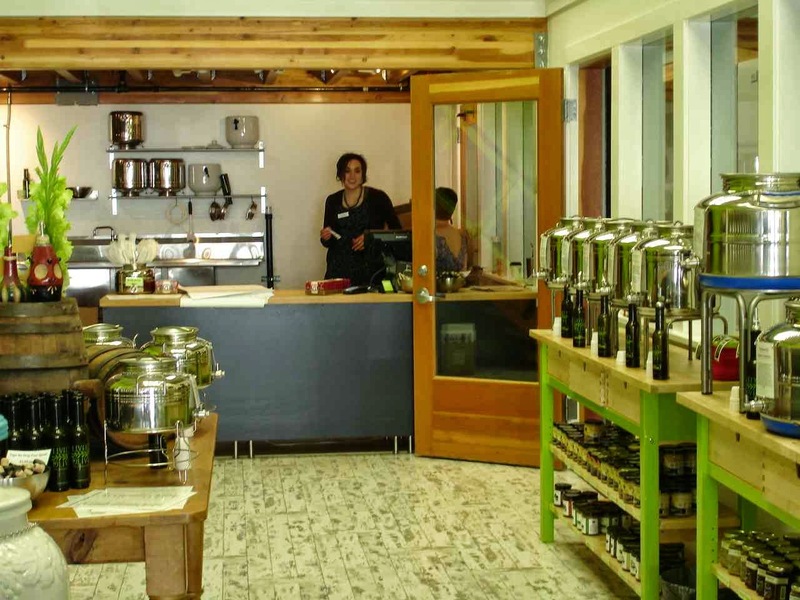 Jan is always happy to find a store selling olive oils and vinegars. We have found them in places like Cocoa Village in Florida, Belfast in Maine, and Ventura, California. This store is operated by two young women. They had just opened the store in December---a great idea for an arts, tourist town. 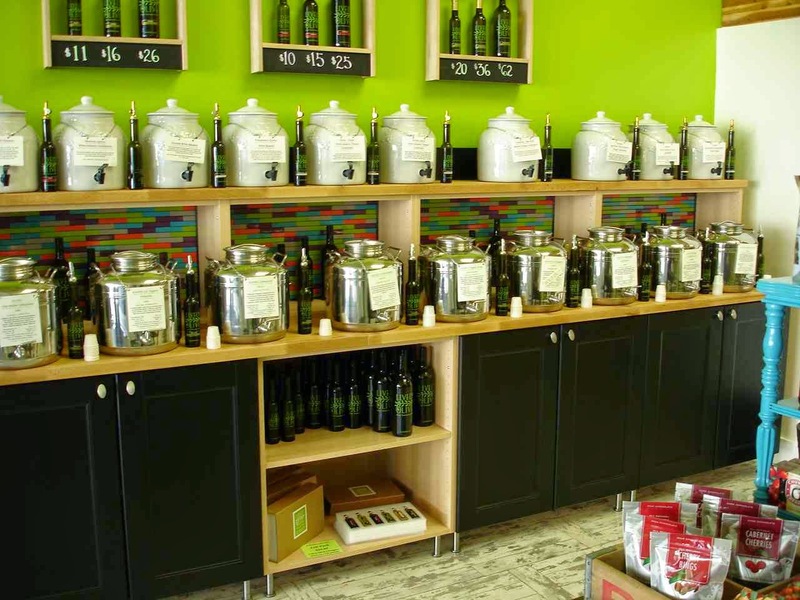 Jan's favorites are Raspberry Balsamic vinegar and Lime Fused olive oil. The store was called Lively Olive. They have the beginnings of a website(not much yet)and do ship. 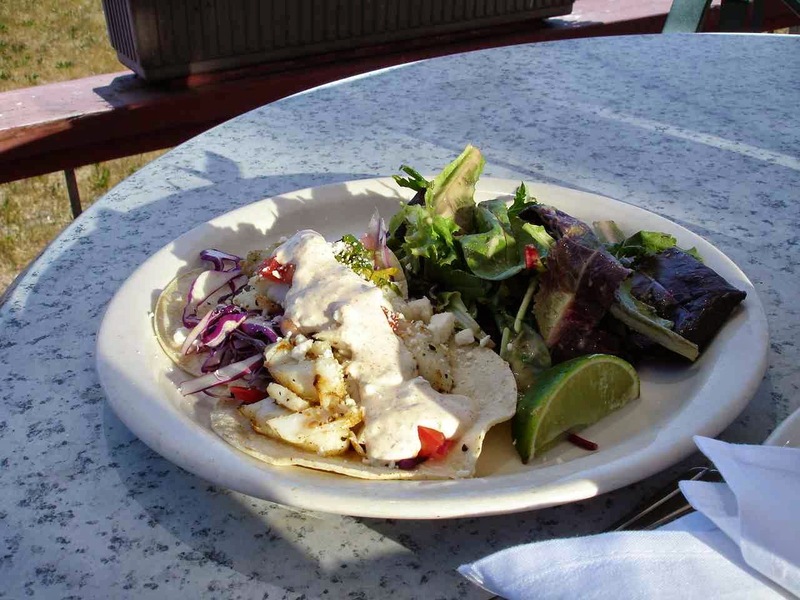 Another nice stop in Port Townsend was Fins Coastal Cuisine. A beautiful day to lunch out on the porch with a view of the harbor. 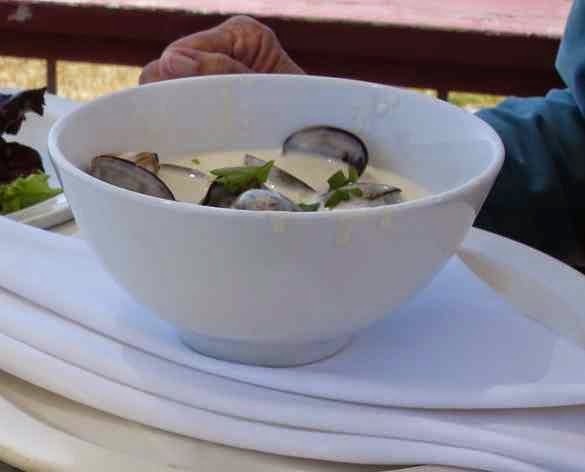 This was their version of New England Clam Chowder. Small clams in the shell, white wine, garlic, and leeks. Wonderful! Our other choice was a fish taco which also included a bit of salad. Of course the view was great all by itself. Jan and I often will order from the appetizer menu. We will often ask if orders can be split. Most of the time, they gladly spit the order with two plates and silverware. Occasionally, there will be a small extra charge for splitting. No---we don't split the wine. We had parked at the Visitor's Center on the way into Port Townsend. From there it was easy to take a shuttle bus into town. Small RVs could find parking in town. 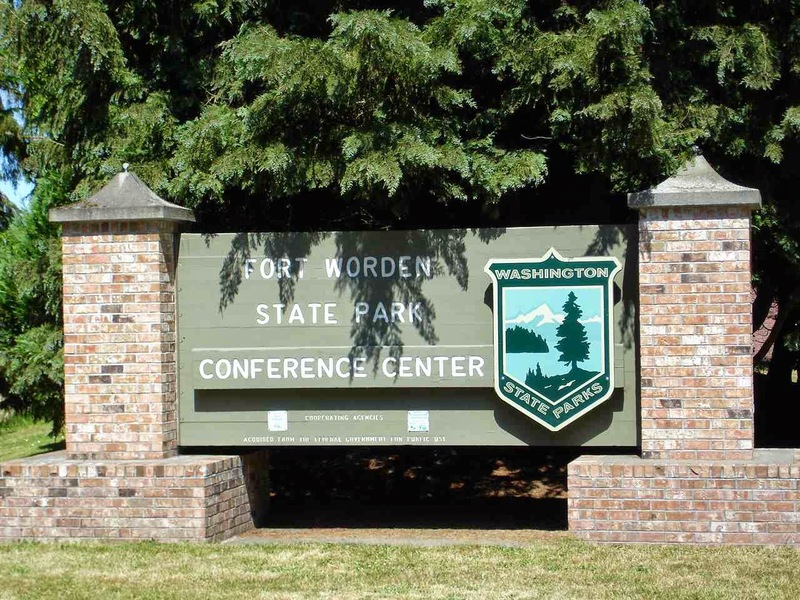 A very nice attendant in the center(originally from Massachusetts) gave us a great recommendation for Fort Worden State Park. We drove out and decided to stay a night. Great views of the Strait with lots of ships to watch. A huge park, used as a military training base during the World Wars, it is now a great tourist park, as well as a college campus, and campground. 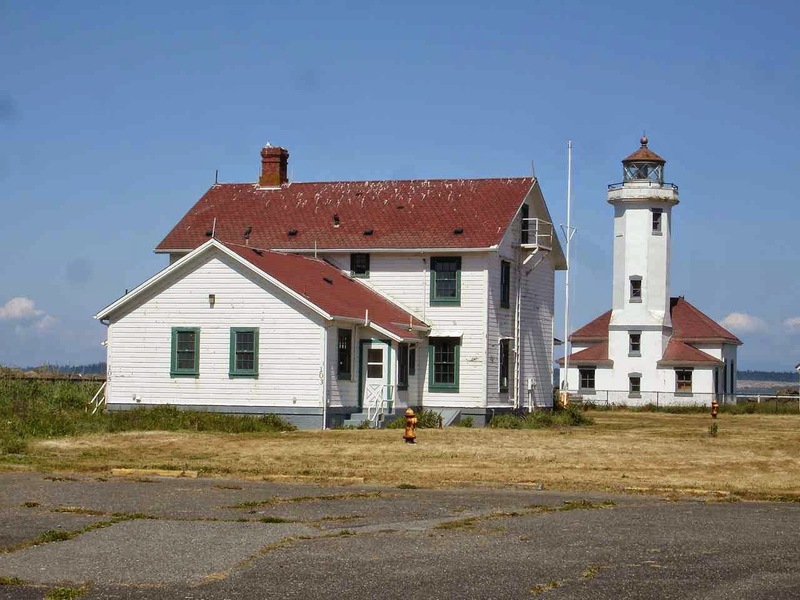 This is Point Wilson Lighthouse which is on the Fort Worden Park property. From Port Townsend area, Jan and I decided to drive south and around the hook of the Hood Canal. A very pretty drive, and ---you guessed it--some great little food attractions along the way. 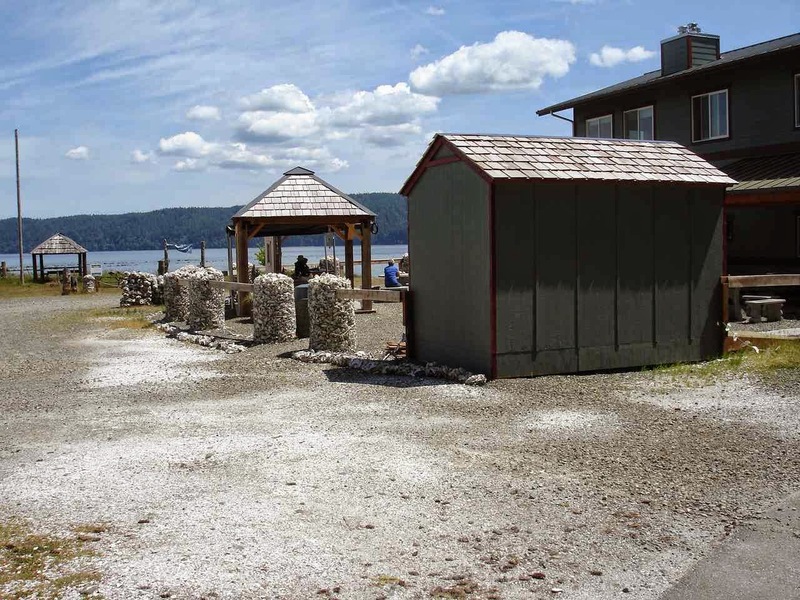 Evidently the Hood Canal is one of the best spots for oyster farms. 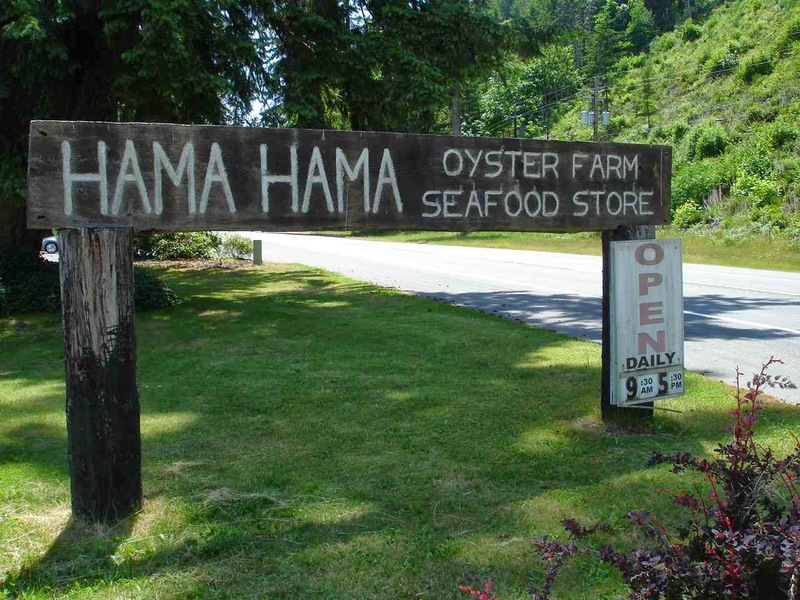 And the best recommendation is for Hama Hama Oyster Farm. 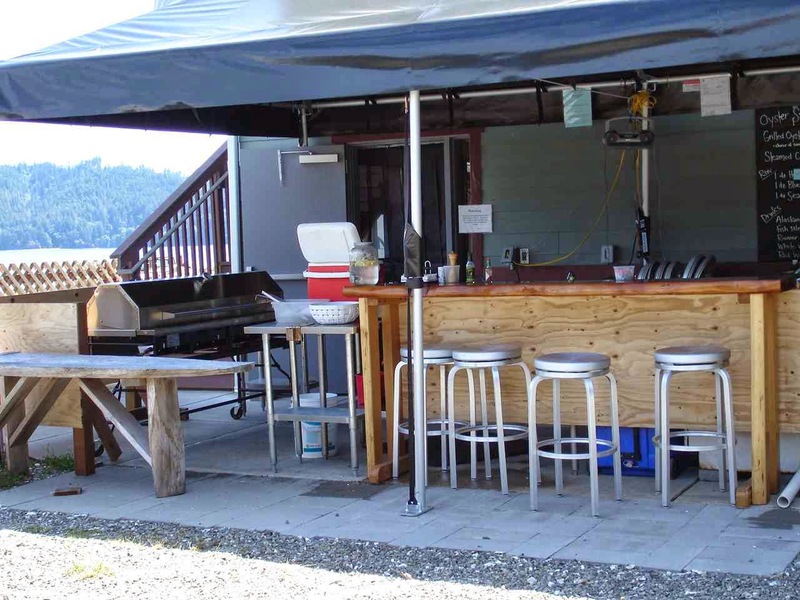 Besides a regular fish store selling all kinds of crabs, fresh fish, and oysters, they have an outside barbecue patio--cooking and serving barbecued fresh oysters. 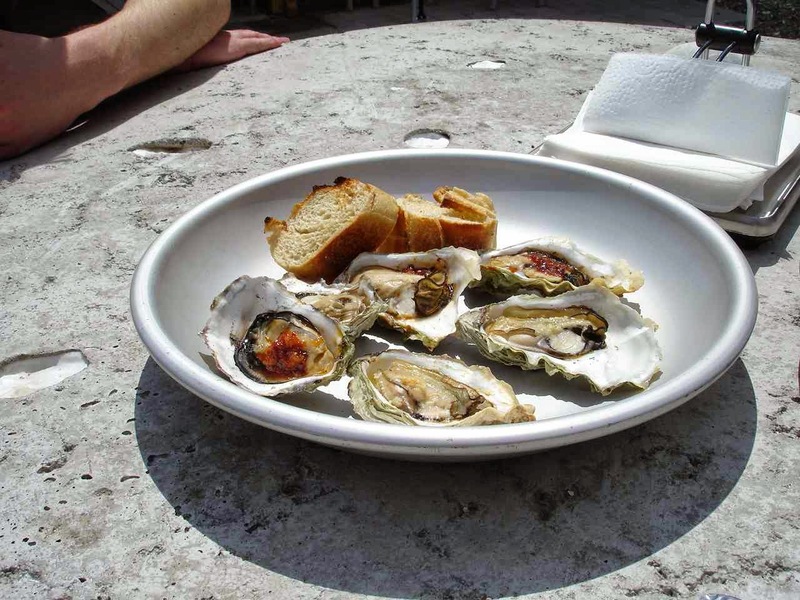 The oyster beds are right past the patio. 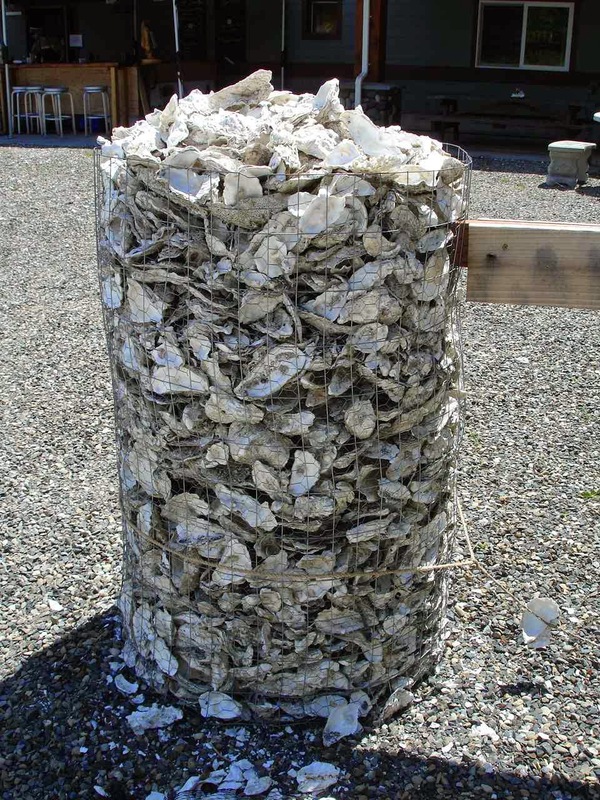 The posts you saw above are actually large containers full of oyster shells. A great setup with a large grill, a menu for food and drink, and plenty of tables to perch for a little lunch. We tried a dozen grilled oysters. One half were topped with chipotle and bourbon sauce. The others were garlic and butter. Great!! 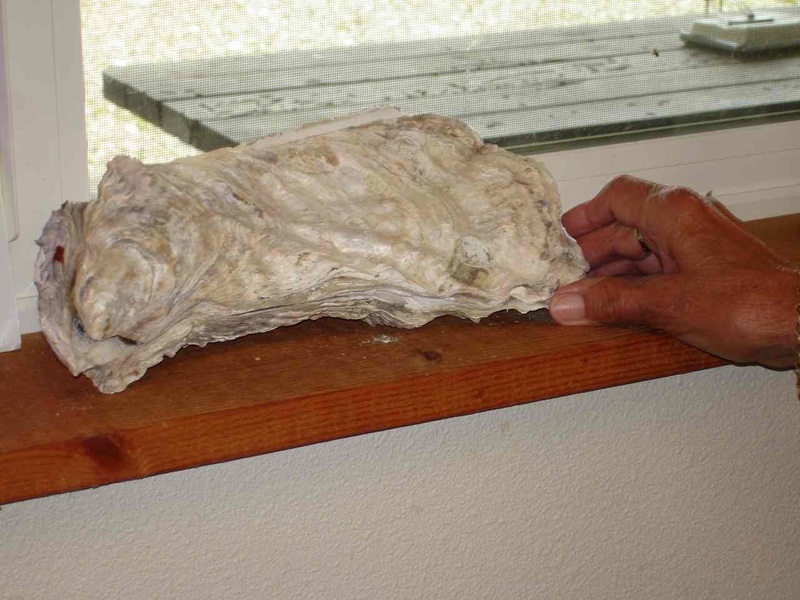 Our oysters were small, but inside the store was this gigantic shell that might give you an idea of the oyster size of some. We decided to bring some of the fare inside the store home for dinner. The owner had just come out with a batch of freshly smoked maple salmon. We also tried a few of their crab cakes. Our plans are always subject to change. We were originally going to take a ferry across Puget Sound to pick up Route 2 east. Then we decided to look at the Hood Canal--which was a great decision. After an easy drive through Tacoma and around the Sound, we were going up to Route 2 east. But, we did not see a lot of camping choices in that section of Route 2, so we opted for Route 90 east which also bypassed a lot of traffic around Seattle. 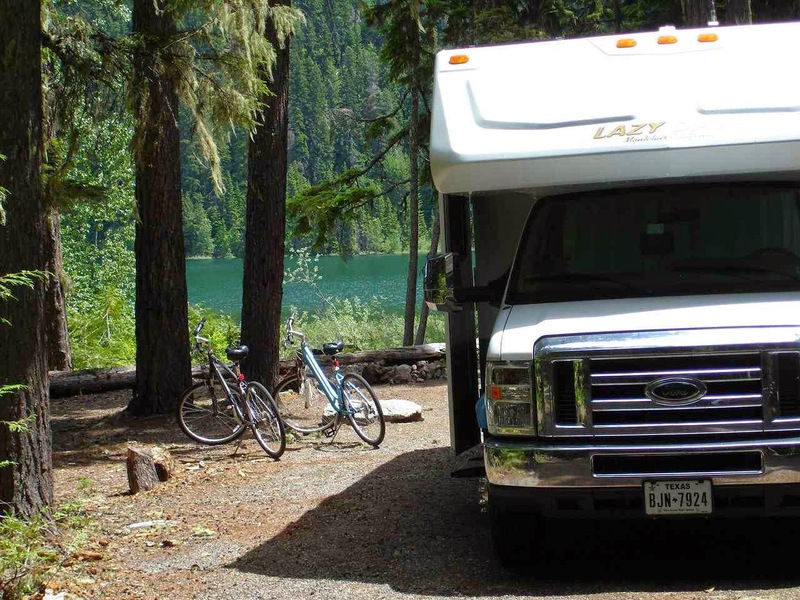 That brought us to this Kachess Lake in Wenatchee National Forest. The above is the view from our campsite. 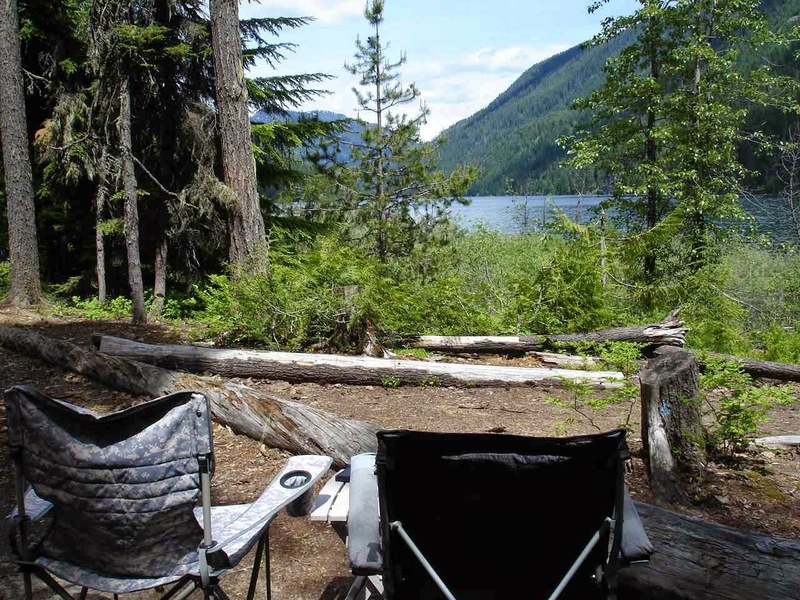 This campground is often filled during the summer and on weekends. We were lucky to find a site with no problem on Saturday, and then moved to this perfect site on Sunday morning when the park emptied. They had a problem with a water pump and the park had been closed until the past week. We don't have a huge number of campfires, but , once more, this was a perfect spot for a few campfires. We even had a wonderful camp host who nicely brought the wood to our site! It seems a very short ride on Route 90 out of Kachess Lake and the very green, woods of the Wenatchee National Forest. Suddenly, we are back in a desert climate--no grass, no trees. This is east of Ellensburg, Washington, on route 283 heading north to Coulee City. This was a great viewpoint back to our crossing bridge and the Columbia River. While this view is very desert like, we quickly come across a number of farms that are super green from the water supplied by the Columbia River. After a quiet night at the Coulee City Community Park, Jan and I follow the Columbia River up to the Grand Coulee Dam..This is the second largest dam in the world. It has three electric generating plants with something like 33 generators, generating 6,809 megawatts. It was built with about 12 million cubic yards of concrete! That's enough concrete to build a sidewalk four feet wide and four inches thick and wrap it twice around the equator(50,000 miles) . There are also massive pumps, pumping water up to Lake Roosevelt where it is used for irrigation. The dam has a great visitor's center with all kinds of displays and information. 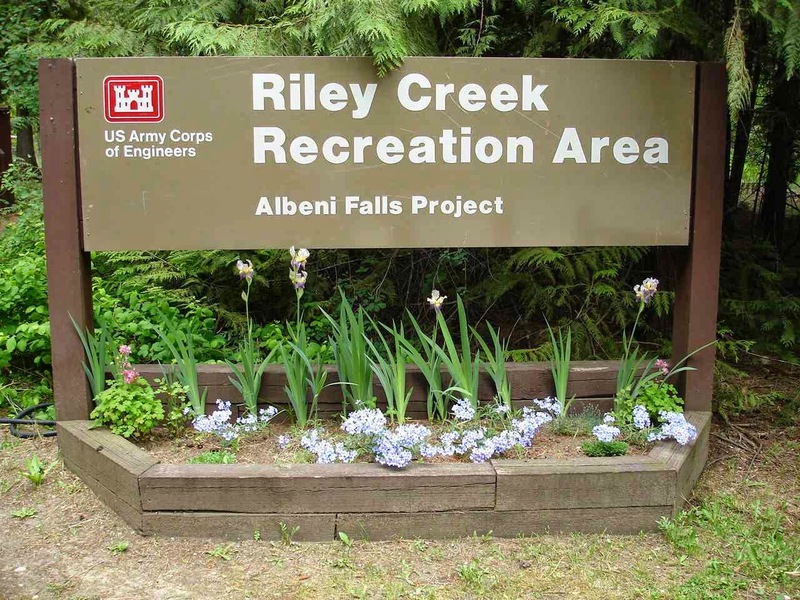 All of which brings us to Riley Creek Corps of Engineer Campground in Laclede, Idaho. A lot of mileage covered this past week. As you probably guessed, a lot of our stops were without an internet connection. What great pictures. 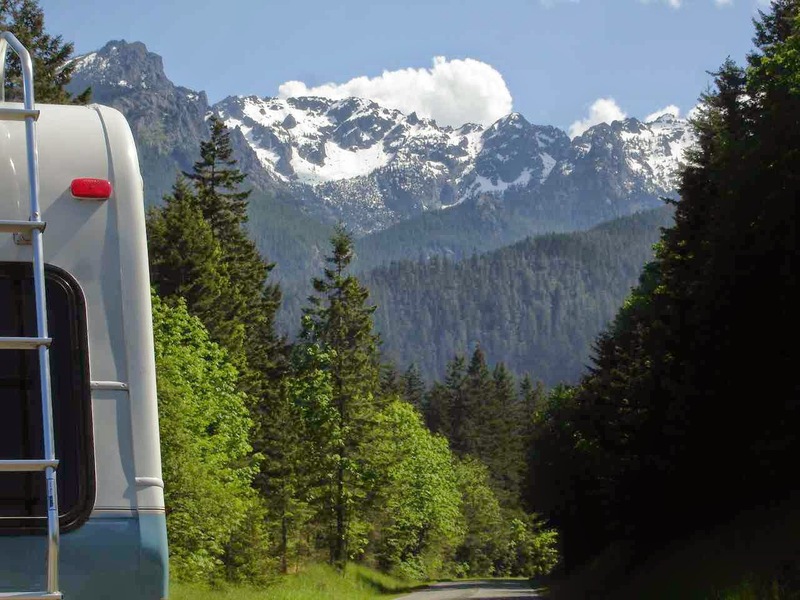 You're traveling in one of our favorite parts of the country. We enjoy reading your blog. It brings back memories. Yes, you guys are sure getting around! Your route looks interesting, we just might follow some of it. Enjoyed your nice photos.